Turning 54 this year, Ballina Salmon Festival is the oldest festival along the Wild Atlantic Way, Traditionally the festival has always been grounded in the community and around the River Moy, and as you’ll read on page 25, a big effort has been made this year to return to the festival’s roots. 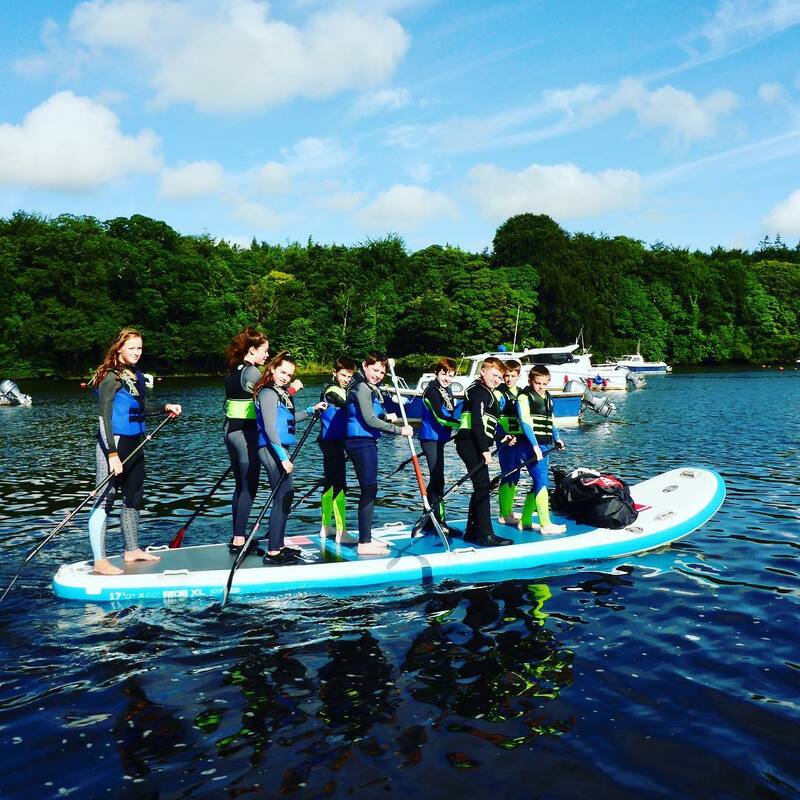 Ballina Salmon Festival Festival Opening Day 2018 focuses on the River Moy and on family fun, and we hope you’ll come along to enjoy a great festival opening day with us in Ballina. Monster SUP Race organised by Mikee Hamilton of Harbour SUP’n’Sail. *** DUE TO EXCEPTIONALLY LOW WATER LEVELS AFTER THE RECENT HOT SPELL, PLEASE NOTE THAT THE MOY SWIM SCHEDULED FOR 2PM HAS BEEN MOVED TO THURSDAY 12TH JULY AT 6PM. ** You can register for this event on Sunday at Bachelors Walk from 2pm or from 5pm to 5.30pm on Thursday – or online in advance by clicking here. From 4pm, join us in the grounds of Scoil Padraig on Market Square for “Think Outside The Mud” – where a cracking afternoon of fun and fitness challenges awaits as Ballina’s newest obstacle course challenges anyone who wants to take part! Prepare to roll up your sleeves and “muck in” to seek glory for yourself and your team! Our obstacle course requires speed, strength, agility, but we guarantee you fun and lots of it. Teams of four can enter to compete for glory (and the prize) and get around the course as quickly as possible. Competitors must be aged 14 and over. We strongly advise that you don’t wear your best clothing! Safety goggles will be provided on the day. Teams can enter on the day from 1pm – entry costs €20 per team of 4. Each team will receive t-shirts. Spectators are welcome too to come along and cheer on the teams, and we guarantee you lots of laughs. There will also be a Kids Corner and you’ll be able to pick up a tasty treat or two along the way too. From 8pm, join us in the heart of Ballina for some rockin’ live music at the Post Office Main Stage. Local up-and-coming band The Kerbs will perform some of their great new tunes including ‘Creep’, followed by the return of Bog O’The Loughs who rocked the festival in 2017. The after-party in Ballina Manor Hotel! Then, round off Opening Day with the after-party in the Shambles Bar at Ballina Manor Hotel on Barrett Street.